With a globe in chaos, the world needs a strong, moral, and courageous United Nations now as never before. This is particularly true for Syrians, who have long looked to the United Nations for refuge and protection, but have too often been disappointed by the results. As the ninth Secretary-General of the United Nations, you have the capacity to rebuild the UN’s reputation as a defender—not just of State sovereignty—but of the people that States aspire to serve. We, Syrian civil society, have long urged our government to respect our basic human rights, only to be barrel bombed, starved, and tortured in return. 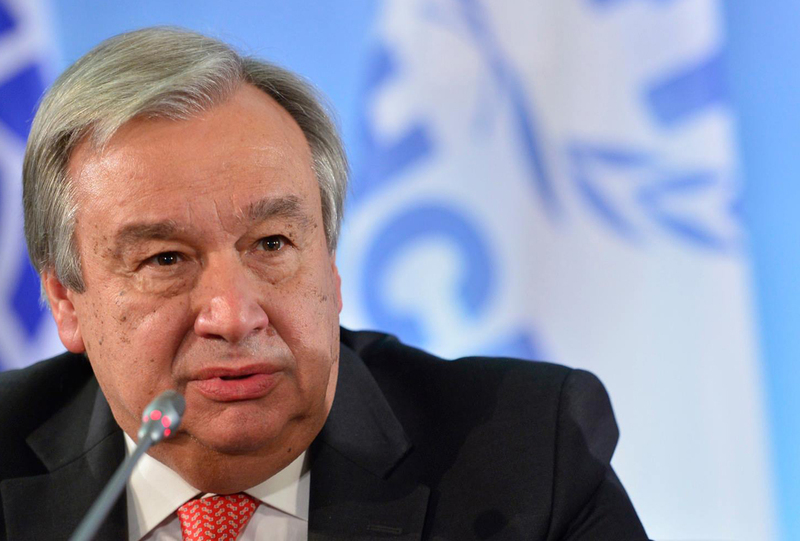 We hope that during your tenure as Secretary-General, we can rely on your support both to reject the atrocities committed against our people, and to secure from Member States the actions needed to protect our civilians. Our organizations urgently want an end to the violence in Syria, which is why we support the Syrian ceasefire brokered by Turkey and Russia. We also want this ceasefire to hold, which is why we are calling for an independent monitoring mechanism led by the United Nations. Only the United Nations has the credibility needed to impartially and accurately monitor our nation’s ceasefire. Both Russia and Iran are clear parties to the conflict and can neither monitor nor enforce the ceasefire with any credibility. If Syria’s ceasefire is to hold and thereby serve as basis for credible political negotiations in Geneva, then it is the United Nations that must lead an independent monitoring mechanism. No ceasefire can succeed without enforcement. As we have seen repeatedly, the violence in Syria will not cease so long as atrocities go unpunished and violations are met without consequences. Violations – including indiscriminate violence against civilians and the sieges of civilian populations – are already threatening to imperil the tenuous ceasefire. To ensure that these violations do not continue and worsen, we demand effective enforcement of the ceasefire, through the application of credible consequences, for any party that violates the terms of the ceasefire agreement. As the UN Special Envoy recently stated, “Protection of civilians –men and women- must be a crucial priority” heading into Geneva. And indeed, any party that targets or indiscriminately kills civilians, in violation of the ceasefire, must face consequences for doing so.